Range of motion and flexibility—or lack of it—can really affect athletic performance. It’s generally accepted that increasing ROM through assisted stretching and deep tissue routines helps improve athletic performance. However, randomly applied stretching maneuvers should be approached with care. New research conducted by Riddel et al, (2004) has linked stretching to an increase in musculotendinous injuries. Riddel’s group discovered a higher incidence of neck, low back and hamstring pain in subjects when various stretching and deep tissue techniques were applied…especially in athletics with a history of previous injuries. A significant number of those subjects were also found to be hypermobile. A couple of things can be done to avoid exasperating a client’s symptoms. First, practitioners must develop subtle palpation skills to differentiate quality, range and end-feel when assessing various soft tissues such as ligaments, muscles, fascia, and particularly joint capsules. Mentally ask yourself…during end-range of motion, does this tissue have a boggy, leathery, spasmodic, or hard end-feel? When comparing side-to-side, are there areas of bind in one limb and greater ease of movement in the other? The body’s synovial joints (Fig. 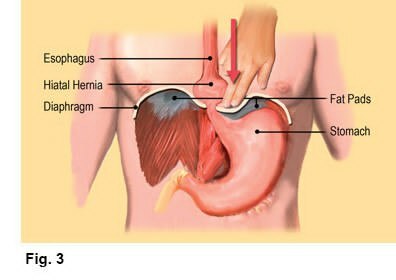 1) allow varying degrees of movement depending on their resiliency or the amount of accumulated fibrosis. By actively engaging the tissues, experienced therapists are able to slowly confront the restrictive barrier without over-stimulating the muscle spindle causing a reactive stretch reflex. Besides being limited by short/tight connective tissues, joint movement can also be disrupted by direct contact between adjoining bones and their cartilages, i.e., the atlas/axis (Fig. 2). The degree of available motion often depends upon whether the stretch is performed actively or passively. Client induced movements such as yoga stretches are considered “active” while passive motion requires application of an external force such as therapist-assisted stretching. Contract/relax (muscle energy) techniques using post-isometric relaxation and reciprocal inhibition principles are very effective in defeating the muscle’s stretch reflex while increasing flexibility (Fig. 3). Fortunately, some very therapeutic active-assisted stretching systems are being taught today. Probably the best of the bunch is “Active Isolated Stretching…The Mattes Method”. Developed over a 40-year period, Aaron Mattes has refined his method to accommodate not only professional athletes, but the general population as well. It would behoove every somatic therapist to add Aaron’s work to their toolbox of touch. I’m honored that my old buddy has agreed to join me as a co-teacher next April in Costa Rica. See Aaron’s and my workshop descriptions. The degree of muscle extensibility surrounding a joint also helps define its available range of motion. Myofibril fibers (slender threads running parallel with the long axis of muscle strands) have little capacity for resisting tensile force. Therefore, the muscles’ fascial wrappings are often assigned the job of limiting motion. Dr. Ida Rolf labeled this insidious process (where fascial bags adhere to one another) as “gluing.” Short intrinsic muscles such as the deep spinal rotators tend to fibrose more easily than long-lever muscles but the gluing process is more obvious in layered muscles that perform similar duties around a joint such as semispinalis, splenius, trapezius, and longissimus. At the First International Fascial Conference held at Harvard University a few weeks ago, an exciting research study was presented demonstrating that the extensor muscles of the back were unable to produce enough force to lift the trunk from a forward-bent position into extension without the help of contractile fibers located in the lateral thoracolumbar fascia. This relevant discovery scheduled to appear in the next issue of ‘Spine Journal’ confirms what many of us have been saying for years; all soft tissues are innervated and can participate in active balancing of the spine. Failure to activate deep intrinsic abdominal muscles is a major culprit in lifting accidents. The transversus abdominis must fire first during trunk flexion (forward-bending) to brace the multifidus and supraspinous ligaments through its intimate fascial connection with the thoracolumbar fascia. Oddly, the firing order is very similar during trunk extension. Specialized mechanoreceptors embedded in the torso’s lateral fascial sheaths send proprioceptive messages to the brain which allows rapid correction and stabilization of torsioned spinal structures. Maintaining fascial balance front-to-back and side-to-side is essential and emphasizes the importance of treating the body as a whole. To quote Paracelsus: “WEAREMORECONNECTEDTHANWEARELEDTOBELIEVE“. Attempting to isolate mechanisms responsible for neck, back and hip pain are futile since they obviously operate as an integrated whole. 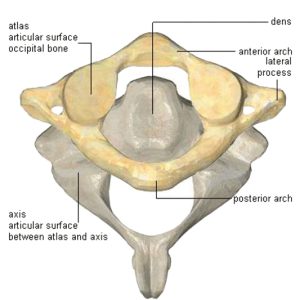 Due to the asymmetrical nature of the body, assessing only structural anatomic landmarks is often not as helpful as investigating function. The evolutionist Herbert Spencer (very influential on A.T. Still and Carl P. McConnell), is quoted by English philosopher Bertrand Russell: “A physical system expresses its energy through function“. A loss of function sets off reactions within the body’s open, dynamic system which manifests as structural abnormalities…and vice-versa. When treating functional problems such as loss of joint play in a frozen shoulder, facet capsule or even loss of hamstring range of motion, therapists must look beyond the symptoms and the artificial dividing of the body into systems and treat the whole. From the sports therapist to structural integrator, the art of restoring pain-free range of motion and joint-play should rank high on today’s bodyworker’s list of treatment protocols. Since the days of Hippocrates, a variety of stretching modalities have been used to effectively increase soft tissue flexibility and bring balance to myofascial structures. Practitioners of myoskeletal therapy add another dimension by imagining the shifting skeletal architecture as specific deep tissue techniques are applied. 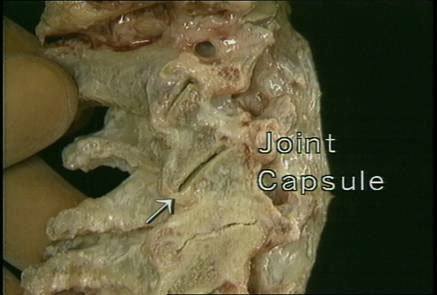 The goal and intent is restoration of joint-play, capsular flexibility and postural alignment. Assisted- stretching and muscle energy routines produce a number of beneficial effects for competing athletes, computer addicts as well as our elderly population. Stretching used in conjunction with deep tissue, myofascial manipulation and neuroreceptor techniques can help prevent injury, reduce muscle soreness, enhance skill, improve posture, and increase muscle relaxation following exertion.